If you’d like to sponsor JoJo, please select your sponsorship frequency below. JoJo is a domestically bred Congo African Grey who hatched in 1994. 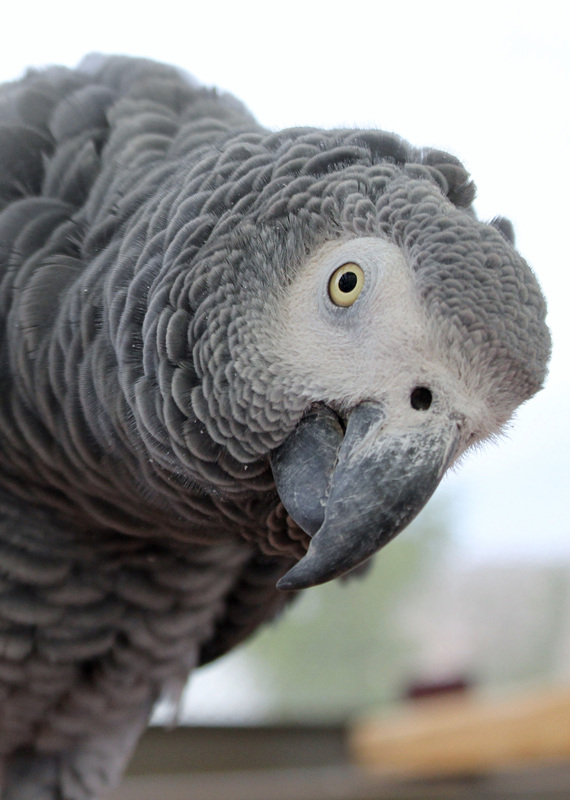 He came to The Oasis in September 2011 in the company of his friend Sidney, a female Congo African Grey. In a small cage habitat JoJo was fearful and aggressive with most people. Upon adjustment to our African Grey Aviary after JoJo and Sidney were released, JoJo showed his true personality. He likes interacting with the Caregivers as much as playing with his fellow Grey Parrots. Sidney remains JoJo’s friend but they are not a bonded pair.